So often I hear email content marketing managers and entrepreneurs (especially) complain about how hard it is to stay creative with marketing content. It’s no cakewalk to be sure, but it’s not rocket science either! Ideas for content will not fly in your window while you sleep and type up content for you. Inspiration does not simply land on your shoulder – inspiration comes to those who seek it out. No one has anything worth saying until they’ve observed something worth talking about. Be it the weather or last night’s game, you have to prime the “interaction pump”. Do it with relative subject matter before you get any return from it. Let’s say you’re at a cocktail party and you see groups of people standing around talking. If you are smart, you’ll glide around the room listening to the conversations and then find one you can contribute to and interject when the opportunity presents itself. Jumping up on a table and yelling at people isn’t going to get you invited to the party again. 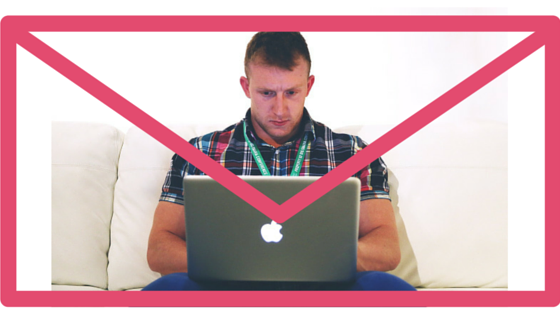 How can you find your email content marketing inspiration? Never before have we had the digital window on our world that we have now. Finding out what people are talking about today is as simple as logging on to any number of social media channels. The two most obvious being Twitter and Facebook which make this so easy, you don’t even have to walk outside in your housecoat to get the paper! It’s simple to see what’s trending and how your subscribers may relate to it. You don’t even have to wet a finger to tell which way the wind is blowing. Humans tend to clump together with those who share their perspectives and views. This happens so naturally that you don’t even notice you are doing it. So be careful that you are not viewing your subscribers’ interests through that bubble. Be sure to search for and follow thought leaders who are in the email marketing business, email content marketing and the niches you are focused on – search is a great tool, almost every subject has a channel where you’ll find people talking about it. Once you get going, you’ll find you have so much content inspiration that you can’t use it all at once. One of my favorite industry bloggers has a good system for this. He organizes his browser bookmarks on topics and favorites good posts or interesting subject matter as he goes. He also uses a spread sheet to save interesting tweets, blog posts or FB posts which he wants to follow up on. It’s easy to be relevant with all the resources you have today, but to be engaging you have to have something to contribute to the conversations going on. That takes some thought and effort, but at least today inspiration doesn’t require that much perspiration.